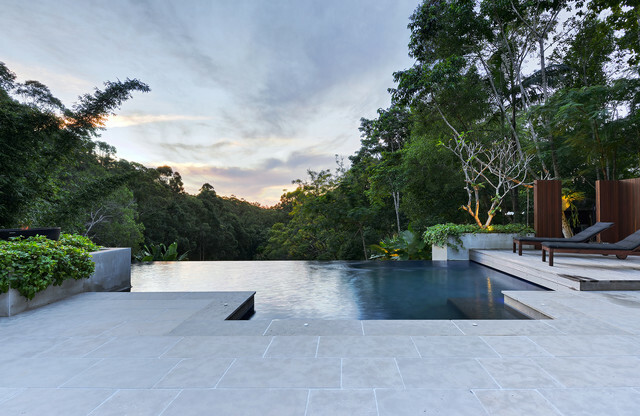 The tiles used around this pool are Limestone. Love this! How have they got around the pool fence?